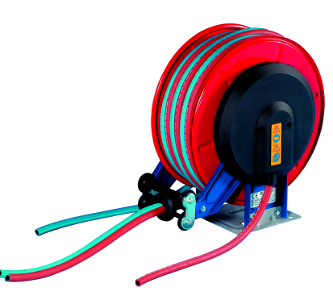 The automatic hose reels of welding range are suitable for distribution for oxygen / acetylene. 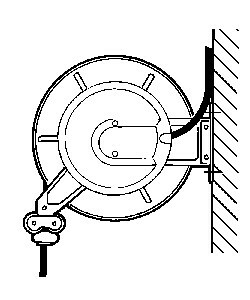 The hose reels rewind automatically the hose by a spring located in the drum. 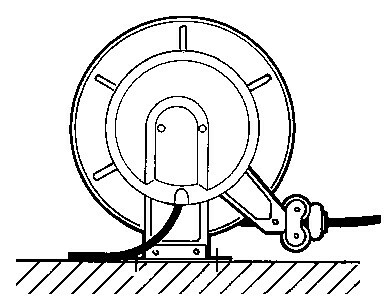 The hose can be stopped at the desired length. The hot galvanized steel structure is moulded and coated with electrostatic polyester powder resistant to UV rays. 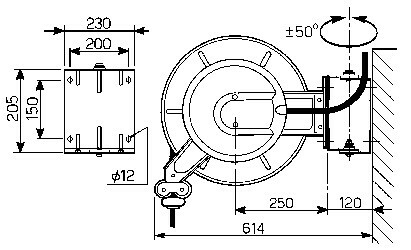 The special open construction allows an easy assembly and replacement of the hose and permits control of the rewinding. 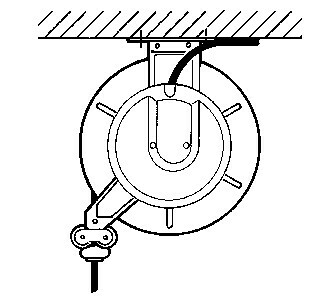 The hose-guide arms can be fixed in three different positions according to the hose reel installation. 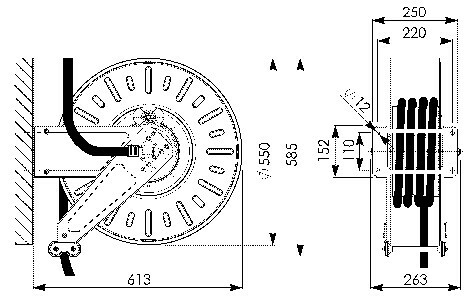 The models with hose are supplied complete with the flexible hoses for the connection to the system. 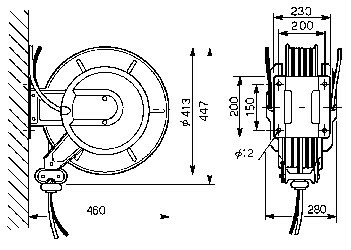 The rubber twin hoses supplied are manufactured in conformity to the " EN 559 " rule. 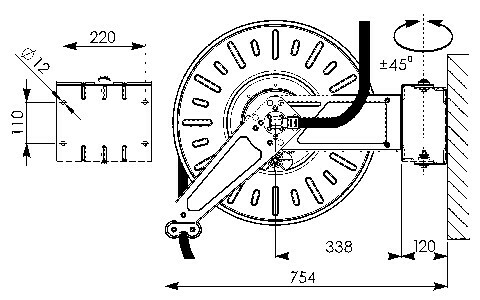 OPTIONAL: lateral protective covers, flexible hose for the connection to the system, revolving stand, 4-rollers hose guide, anti-derailment bracket, additional bracket for a quick fixing of the hose reel.